Our area of expertise focuses on paper based business processes. Your office and millions of others process billions of pages every day. These processes range from the simple to the complex. You print, scan, file, copy and fax. The one common denominator is people, one of our two primary areas of focus. The second common denominator is paper. Yes, the paperless office is an urban legend. It sounds good, sounds like a dream, but in reality, 80+ % of business processes in the back-office are paper based as of 2015. Our highly effective assessment process at its core is a fundamental study of the dynamics between paper and people. Printers don’t Print. People Print. Paper does not move around your office on its own. Knowing this, we focus on the interaction of paper and people. This is where we can best improve processes, reduce costs and gain efficiencies that make the biggest impact on your organization. Whether by design or evolution, your back-office paper based business processes have a specific path that your people follow. By studying your current processes, we arrive at an understanding of how those processes support your business activities. Using our extensive industry knowledge of best practices, what is working and why, best available technology and our own field experiences, we then recommend a solution that uses the best technology and proven tactics to help you gain competitive advantage through greater efficiency, speed and lower cost. One of our account management team members will meet with you and other stakeholders in your organization. We work with your team to address your current problems and challenges regarding paper based processes. Goal: To Listen and Learn. By listening we discover what matters to you, what is a priority, and we will identify short-term goals. 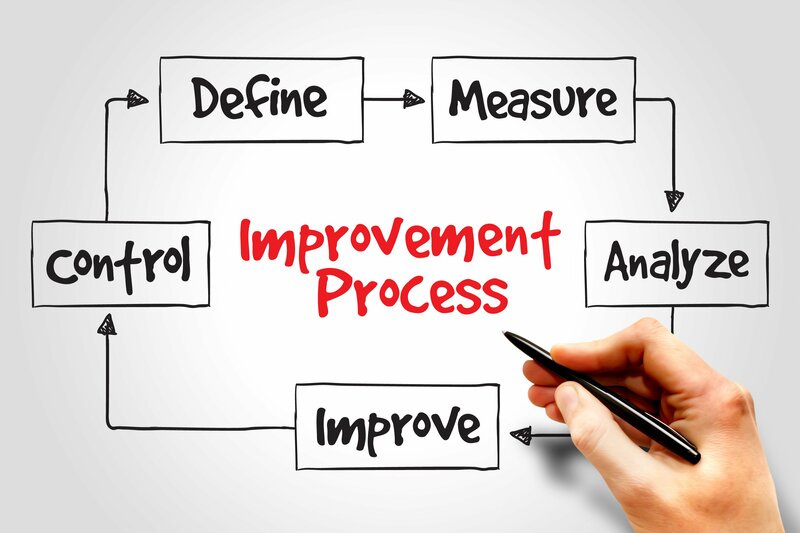 Outcome: Set a time to complete an on-site assessment that focuses on areas of improvement agreed upon in the Pre-Meeting. We look at every paper-based process within the area of focus. This could be within one department, or a process that spans the entire company. It may be 3 steps or 30. We start with people. Move to Paper, and follow the interactions of the two. This is where we find the bulk of the costs and bottlenecks. Once we identify the top 20% of the problems that produce 80% of your frustration, waste and cost, we begin to focus our efforts on how to help you make small but big impact changes in your processes. The tools we use are expertise, technology and partnership. We gather associated costs, talk to stakeholders, and begin to outline the problem-solution approach to making progress happen in real time. We gather enough information, content and financial data to make an informed solution proposal for you to consider. The proposal process includes an executive summary that highlights the areas for improvement, an analysis of the problems, and associated costs, and our recommendations on how to get you to where you want to be. We assemble the DCA Team that will implement the solution we recommended and you approved. This team is responsible for delivering on our promises to you.